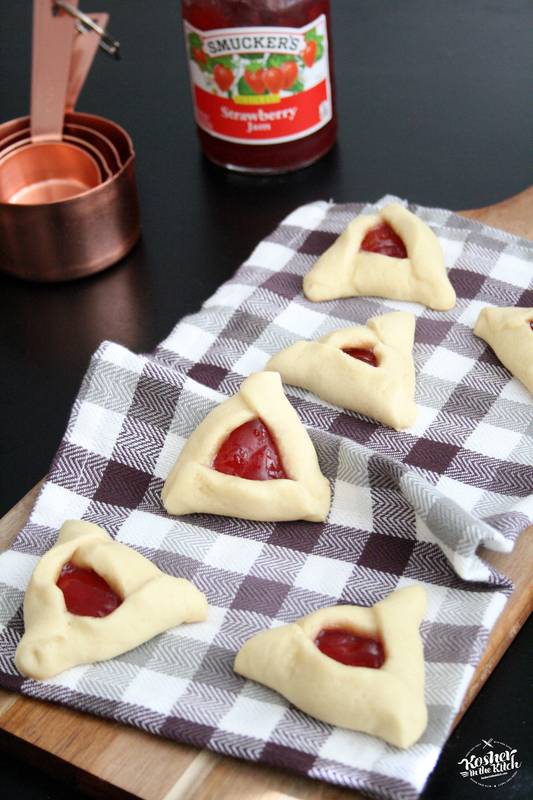 Classic Hamantaschen - Kosher In The Kitch! 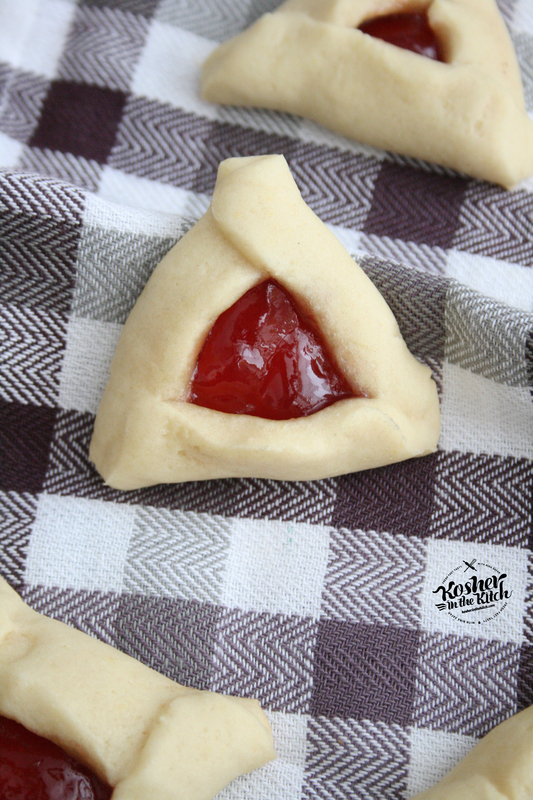 Classic Hamantaschen - Kosher In The Kitch! Cream together sugar, oil, eggs and vanilla. Slowly add flour and baking powder. Mix together. The dough might be crumbly, use your hands to smooth it out and combine it. 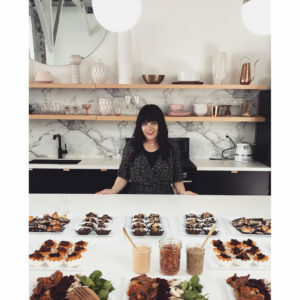 (if the dough is sticky add an additional 1/4 cup of flour) Roll out dough on floured surface (about 1/4 to 1/8 thick) and cut out circles using a donut cutter, large cookie cutter or the rim of a large glass cup or mason jar. Fill center of circle with desired filling (about 1/2 tsp) and bake on 350′ for 8 to 12 minutes depending on how soft or crispy you want them. I like them super soft so I take them out at 8 minutes. * Notes on shaping hamantaschen: Place filling in center than slowly fold over one side. Then the next and finally bring the bottom on top. Gently pinch the corners. I just want to thank you for this recipe! I just pulled my first batch out of the oven, and they look amazing! Perfectly golden. I made them with different flavors; raspberry jam, blackberry jam, cherry preserves, and lemon curd. I’m currently letting them cool on wire racks, then will dust with powdered sugar. I love to bake, and have baked many things in my life, but this is my first ever attempt at Hamantaschen cookies. The recipe is nice and easy. Thank you!